Used to be they were called “mommybloggers,” but that was before their Klout scores soared and corporations avidly courted them. And while I may be exaggerating, I’m not by much. This group of bright, engaged mothers (and some dads) who travel with their kids and run homes and blog, now run the family travel market and drive some of the most exciting conversations on line. These are experienced travelers, sharing and having fun. They are mostly women, all of whom have a vibrant thing going on with each other about all things travel: destination tips and trips; legal advice about single parents traveling with minors; top cities of the world; funny and touching stories; differing opinions, travel expos, etc. One a Tweet chat I attended, had a couple hundred participants, and although about 50 voices dominated, the others had their says too. The discussion went well past the cut-off time. Under the leadership of Ms. McCarthy and Orlando, it was at New York’s classy Omni Berkshire Hotel. 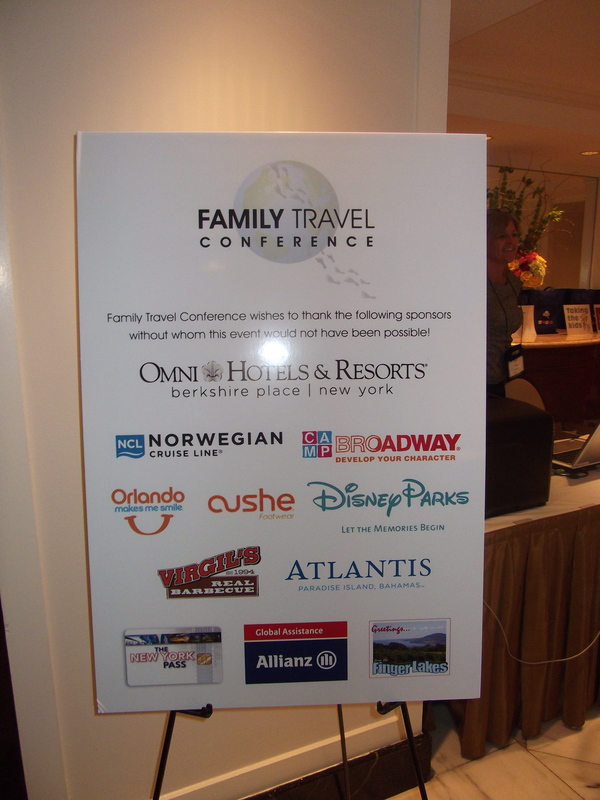 The 2-day event was in invitation to 30 or so bloggers and journalists, with family travel content experience. The blend of the traditional writer with Internet content creators was a wise move because the two groups learned from each other and provided differing viewpoints. Kim Orlando, an indefatigable blogger and entrepreneur drove the Twitter dinner, which was more a live Tweet event than an actual dinner. But it was more fun than most of the conference dinners I’ve attended. After a video workshop (Presenting Yourself: Ledes and Hooks), participants scattered throughout the hotel, smart phones and video cameras in hand, and created on-the-spot content ranging from an inside look at the hotel’s kitchen, to tips from housekeeping on making a room look like new. When the dust settles, we probably were participating in the first of many such workshops about family travel, technology, monetizing content and community. What I found refreshing, more so than conferences with top brass from from Google , Amazon and other legacy companies, was the openness and enthusiasm. These “mompreneurs” combine humor with a depth of practical, real-world travel knowledge, and they make it all accessible by sharing. With family travel a huge, fast-growing niche ( 4.5 trips a year; 67% saying kids are never too old to travel with), this fast-talking cohort may well set the standard for online activity… and enviable sponsorships.